“I’ve been a member of The Tax Institute for just on 30 years … I loved going along to a number of the functions, some of the retreats, meeting up with people every year and having dinners and chats about what’s going on – not only in our professional lives but also in our personal lives – and we got to know each other really well … there were people who would turn up year in, year out to these functions. The year as state chairman was a highlight. I really enjoyed the ability to set some directions and be a spokesperson on national council. I was very honoured to be able to represent The Tax Institute. As some members may be aware, the Commissioner of Taxation made a number of announcements in relation to the ATO’s consultation arrangements at the recent National Tax Liaison Group meeting. The Tax Institute is aware of the need for effective consultation to ensure the best outcome in tax law design, implementation and interpretation. As both the ATO and many members expend significant resources in consultation, the ATO’s efforts to target those resources to maximise benefit from our mutual investment are welcome. In 2013, The Tax Institute celebrates 70 years of supporting the tax profession. Hear from prominent members about our journey to becoming Australia's leading professional association in tax. Hundreds of tax professionals joined the The Tax Institute at the National Convention in Perth earlier this year to celebrate this significant milestone. Seventy years ago, Australia, a newly independent nation state, was at war. The 1940s saw intense bombing raids on Darwin, and submarine attacks on Sydney and Newcastle. Thanks to new taxes and procedures necessitated by the war, there was a considerable growth in tax revenue. In 1942, uniform tax legislation was introduced and the Commonwealth assumed responsibility for levying income tax. The following year, a Sydney accountant named Harold Irving decided that it was time to try to improve the position of tax agents, tax law and its administration. Against this backdrop, The Tax Institute was founded. 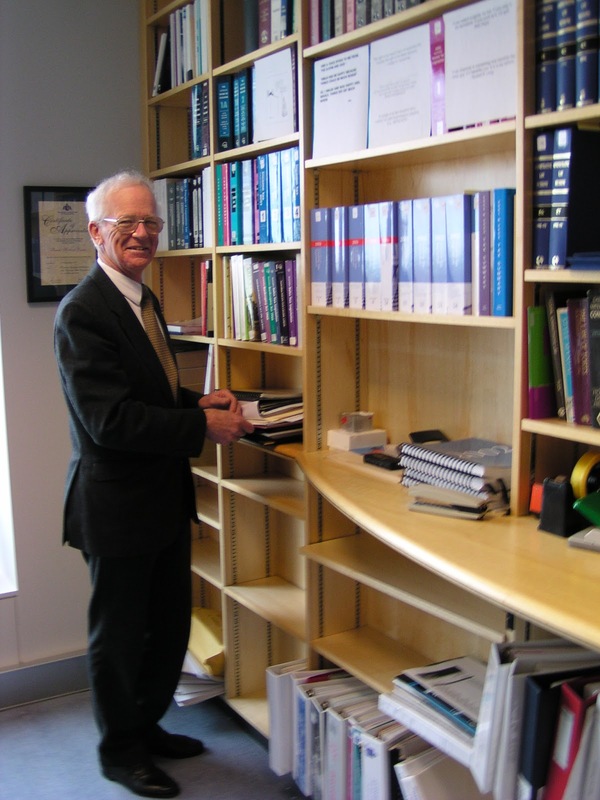 As Australia’s tax landscape became more complex, Irving was concerned with the dissemination of information surrounding taxation to registered tax agents. He selected a provisional committee of colleagues, and the first meeting of what became The Tax Institute was held on 16 July 1943. With the law now in place to ensure financial advisers are subject to the Tax Agent Services Act, this week, The Tax Institute continued our strong advocacy to ensure that financial advisers have sufficient experience and educational qualifications in tax such that the true intent of the law is fully realised. We have just lodged a submission to the Treasury on these matters. In the interests of ensuring a professional and ethical framework is laid out for those financial advisers who wish to register as ‘tax (financial) advisers’ under the new law, they must meet extensive educational qualifications and sufficient relevant experience. We are broadly of the view that the more education and experience that will be required of someone who wishes to register under the Tax Agent Services Act, the better for both the protection of consumers of tax advice and the integrity of the profession. I have reached the mid-point in my presidential term at The Tax Institute, and I'm look forward to the hard slog over the six months to come. A president’s term is only 12 months, but my predecessors have told me it’s like running a marathon. It’s all in the second half and gets harder towards the end. Well, the second half is about to start and the first has been frantic. What’s the message? I must admit that the issues are broad and challenging, but I work with good people and am enjoying my term as president. Your Institute has been flat out to deliver to you, and represent you in, all matters tax. As you all know, it’s hard out there and every little bit makes a difference. Your team at The Tax Institute continues to innovate and deliver in accordance with our brand promise. Download a copy of the top tips and traps for advisers [PDF] taken from the 2013’s new SMSF Guide, 5th Edition. contribution issuesemployment termination paymentsCGT small business concessions binding death benefit nominationsand much more. Download the tips and traps [PDF], and purchase your copy of the SMSF Guide, 5th Edition from our website today. 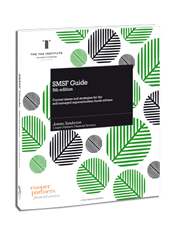 Jemma Sanderson, CTA, is the author of the SMSF Guide, 5th Edition and Principal / Representative with Cooper Partners Financial Services. The Government’s short-sighted decision to announce that from 1 July 2014 an individual’s self-education expense deductions will be capped at $2,000 per year is still causing great concern in the community. The Tax Institute is strongly arguing the case for change to the announced measure as a result of our deep concerns. We are urging the Government to reconsider the measure such that it does not adversely impact on legitimate claims for self-education expenses. The imposition of a cap might well prevent large deductions from being claimed, but in doing so, it would also penalise people who are endeavouring to improve their qualifications for work or business who are not incurring unnecessarily excessive costs. Accordingly, many legitimate claimants would suffer higher out-of pocket expenses as a result of this measure. With more and more of our members using tablets and eReaders, we’re pleased to announce the launch of our new eBook editions. Our new eBooks are compatible with iPad, Kindle and most other similar devices. SMSF Guide and Discretionary Trust Distributions are the first titles to launch in eBook format. As other new editions of our books launch in 2013, we’ll also be making eBook editions available. On Wednesday, 24 July, see Assistant Treasurer, the Hon. David Bradbury, MP, go head-to-head with Shadow Assistant Treasurer, Senator Mathias Cormann, to answer your tax policy questions. Don’t miss this opportunity to put your questions to and hear directly from the decision-makers themselves. As some members may be aware, the Commissioner of Taxation made a number of announcements in relation to the ATO’s consultation arrangements at the recent National Tax Liaison Group meeting of 13 June 2013. 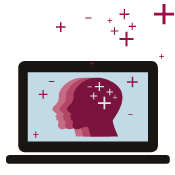 An overview of the ATO’s revised consultation framework can be accessed. The Tax Institute is aware of the need for effective consultation in ensuring the best outcome in tax law design, implementation and interpretation. The Tax Institute’s members have a long history of engaging in consultation to develop and apply tax laws in the national interest. Our consultation efforts have spanned across technical issues, industry focussed issues and ATO systems-related issues.